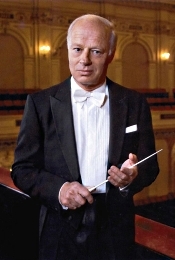 Bernard Haitink, Concertgebouw Orchestra, Amsterdam. Philips 410 398-2 (2-disc set). OK, so I’m thirty-plus years behind with this review. Better late than never. Not only that, the record company, Philips, has gone out of business, and the disc hasn’t been in the catalogue for over a decade. However, if you’re interested (and why else would you be reading this if you weren’t?) you can find the disc used, and ArkivMusic still makes the recording available new by reproducing it under authorization from the Decca Label Group. Anyway, the Mahler Seventh Symphony recording in question is Maestro Bernard Haitink’s second of three stereo recordings for Philips. Haitink has always been an expert practioner in Mahler and made his first recording with the Concertgebouw in analogue over ten years before this one. Then he made present Concertgebouw recording digitally in 1982, and another in the mid Nineties with the Berlin Philharmonic. Maybe he wanted to continue recording it until he got it right. In any case, it’s his first recording I like the most for its more-vivid interpretation (unfortunately, available only in a box set of the complete symphonies); the recording under review I like second best for the sheer beauty of its interpretation and sound; and the Berlin account I like least because by then Haitink seemed to have let a lot of the wind out of his sails. How much you will like Haitink’s 1982 account may depend upon your own view of the Seventh Symphony, one of Mahler’s more problematic and ambiguous works. As I wrote a few weeks earlier, it’s a transitional piece, connecting the darker Sixth Symphony with the triumphant Eighth. Of course, musical scholars point out how Mahler connected all nine (or ten or eleven) of his symphonies, forming one grand musical statement. If there is a grand scheme in things, the Seventh has long been the neglected stepchild of the lot. While the other symphonies get most of the love, the Seventh often goes wanting. Gustav Mahler (1860-1911) wrote the Symphony No. 7 in E minor in 1904-05, and it is probably his most biographical work. Along with the Fifth and Sixth Symphonies, the Seventh forms a middle trio of Mahler symphonies, all of them purely orchestral, with the Seventh being the oddest of the group. Even more so than most of Mahler’s works, its five movements are open to multiple interpretations. I remember one critic once explaining that the symphony was a recounting by Mahler of his trip to the countryside, complete with his packing of suitcases, traveling through rural roads, along pastures, and on to his destination. Other critics see its five movements more generally as a journey from dusk until dawn or a nightly walk into the morning, the whole thing a kind of eccentric, extended nocturne. So, what is Haitink’s view? It’s certainly not the high-powered outlook rendered by conductors like Georg Solti or Claudio Abbado, who point up every contrast in the work and emphasize its darker, more-bizarre side rather than its purely lighter moments. Haitink, on the other hand, seems intent on being as solid and straightforward as possible, all the while stressing the music’s expressive delights. Some listeners will simply find it slow and dull, which is probably what a lot of people would think if they had only heard one of the more dynamic readings around. In fact, Haitink did take a more leisurely approach to the symphony this second time around than he did the first time, losing a little tension along the way. He made up for it in sheer attractiveness, though. Haitink builds his reading of the Seventh around Mahler’s two central Nachtmusik segments, which are quite magical and atmospheric. The opening movement is more progressive than most, starting out very slowly, very gravely, and building momentum. Haitink’s handling of the Scherzo is less bizarre than it is under many other batons, and even the troublesome Finale, which can oft-times resemble a haphazard succession of anticlimaxes, comes across as a well-shaped series of purposeful variations. You may not agree with Haitink’s vision of the Seventh, but it’s hard to deny it doesn’t hang together well, start to finish. One minor drawback, however: The penalty for taking your time through this massive symphony is that it might not fit on a single disc. Haitink’s rendition takes a pair of discs, with the first two movements on disc one and the final three movements on disc two. Even so, having to change discs is a small price for so lovely a performance. Mahler’s Seventh Symphony is one of those pieces of music that begs for different interpretations, and doubtless it’s worthwhile having several versions in one’s library. For me, Haitink’s rendering is one of them. Philips recorded the music digitally at the Concertgebouw, Amsterdam, in December 1982, and it was another fine job by the recording team. From the mid Sixties to the late Eighties Philips seemed able to do no wrong in the Concertgebouw. Their recordings always sounded substantial, full, deep, dynamic, ambient, and, above all, realistic. This one’s no exception; the sound is glorious. You hear one of the world’s great orchestras in all its glory, with the hall lending its hand in resonant bloom. Nevertheless, when Decca started recording the orchestra, they never seemed able to capture that same golden glow. Decca’s Concertgebouw recordings have always sounded flatter to me, closer, more “hi-fi.” Indeed, I cannot think of another recording of the Mahler Seventh that sounds better than Haitink’s ’82 digital effort, reproduced here. American Composers Orchestra with two world premieres, October 25, 2013; in recital as pianist with Jessica Rivera and Kelley O’Connor, October 29, 2013; Britten’s War Requiem with Atlanta Symphony Orchestra, April 30, 2014. Robert Spano, Music Director of the Atlanta Symphony Orchestra and Aspen Music Festival and School, will appear at Carnegie Hall on three occasions during the 2013-2014 season. This is the third consecutive season in which Maestro Spano has been presented by the prestigious venue in more than one medium and marks the eighth time Maestro Spano leads his Atlanta Symphony Orchestra and Chorus in Carnegie Hall’s Isaac Stern Auditorium. On Friday, October 25, Maestro Spano performs for the first time with the American Composers Orchestra in celebration of the 10th anniversary season of its Orchestra Underground series. Known for his commitment to emerging composers, and most specifically emerging American composers, Spano conducts the world premiere of the first orchestral work written by rock-guitarist Ian Williams of the band Battles alongside the world premiere of a piece that fuses orchestra and electronics by Irish composer Peter Fahey. Composer Julia Wolfe's Fuel, a multimedia work composed in collaboration with filmmaker Bill Morrison, as well as Christopher Theofanidis's virtuosic Bassoon Concerto are also featured on the October 25th program. In addition to his work on the podium this season, Robert Spano joins soprano Jessica Rivera and mezzo-soprano Kelley O'Connor as pianist for a recital in Zankel Hall on Tuesday, October 29 with New York premieres by David Bruce, Jonathan Leshnoff and Gabriela Lena Frank among works by Mendelssohn, Gounod, Saint-Saëns and others. In his fourth Carnegie Hall commission, acclaimed composer David Bruce's work "That Time With You," explores a mysterious sense of love and loss while Jonathan Leshnoff's Monica Songs exhibit a lush and richly tonal style. Composer Gabriela Lena Frank draws from her multicultural heritage most ardently in Kitchen Songs. Displaying his gifts as a composer, ASO Media will release a digital recording on iTunes of Mr. Spano’s solo piano work, under water, and a cycle of five songs written for soprano Jessica Rivera in November 2013. In addition to the recording, Mr. Spano and Ms. Rivera perform the first three songs of the cycle in recital at Pepperdine University October 20. Robert Spano brings the Atlanta Symphony Orchestra and Chorus to Carnegie Hall's Isaac Stern Auditorium Wednesday, April 30, 2014 for their eighth performance in the hall over the last eleven seasons to perform Britten's towering masterpiece: War Requiem. Joined by soprano Evelina Dobracheva, tenor Anthony Dean Griffey, baritone Stephen Powell and the Brooklyn Youth Chorus, this performance is a centerpiece of Carnegie Hall's "Britten 100"- a season-long celebration of the centenary of the prolific English composer's birth. The Miss America Organization is proud to announce its new partnership with Education Through Music (ETM) to support music education in schools. Joshua Bell, world-renowned violinist and ETM Board Member, forged the partnership when invited to become a judge at the Miss America Pageant this year. Education Through Music provides inner-city schools with comprehensive music instruction for all students (regardless of their musical ability) to improve students’ academic achievement, motivation for school and self-confidence. ETM partners directly with schools that lack sufficient resources to provide school-wide music instruction by offering music as a core subject. The focus is to provide students valuable musical knowledge and skills, and to support learning in other academic areas like reading and math. ETM hires, trains and provides ongoing professional development to its music teachers to ensure every child receives high-quality music instruction. ETM also engages parents and the at-large school community through concerts and workshops to build support for music education. “The Miss America Organization is the world's largest provider of scholarship assistance for young women. We empower young women to achieve their personal and professional goals, while providing a forum in which to express their opinions, talent and intelligence. Miss America has been working with educational foundations for decades and is pleased to partner with Education Through Music. We will continue our support of music education in a number of ways, including creating a fundraiser in conjunction with the new Miss America's homecoming, one of our most important annual events with 33% of the proceeds benefiting the new Miss America home state scholarship organization, 33% to the Education Through Music foundation and 33% to the Miss America Foundation,” noted Sam Haskell, chairman and CEO of Miss America Organization. “ETM is thrilled to partner with The Miss America Organization, which like ETM, recognizes the importance of a well-rounded education. Miss America Organization clearly understands the value of music in our schools and understands that it provides children with the life skills needed to be successful in school and beyond,” says Katherine Damkohler, Executive Director of Education Through Music. “Music enhances the lives of children in so many ways, which is why it is so important that music education be valued in our society. My own commitment to music education has brought me to many public schools, as well as established music academies, and I have seen first-hand the positive effects of music education on these children. Music teaches about beauty, logic, mathematics, language, teamwork, and individual expression. Having seen many ETM students with their own instruments in hand, beaming with a sense of accomplishment after having worked together to create something beautiful is nothing short of thrilling. I don't think there is a human alive who could witness this and then argue against the importance of music education. Having learned of Miss America's mission for educating young people, I was pleased to introduce Miss America to Education Through Music, and even more thrilled at the excited responses received from both organizations to the idea of joining forces to improve music education,” says Bell. 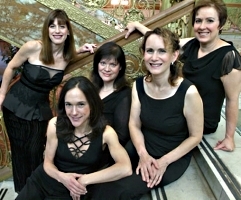 Ensemble will display “Luminescence” Oct. 5 in St. Charles and Oct. 6 in Wheaton. “Candlelight Carols” coming to Chicago Dec. 6 and St. Charles Dec. 7-8 with Guitarist Goran Ivanovic. “Mozart for the Masses” makes its way to Chicago Jan. 25 and St. Charles Jan. 26, animated by Anima Youth Choir. The St. Charles Singers, the internationally recognized professional chamber choir founded and conducted by Jeffrey Hunt, will launch its celebratory 30th season of choral artistry with a concert titled “Luminescence,” to be presented in St. Charles on October 5 and Wheaton October 6. The St. Charles Singers debuted in 1984 as the 14-member Mostly Madrigal Singers, made up of Hunt’s musically talented friends and family members from the far western suburbs and elsewhere in the Chicago area. Its first public performance, on December 19 of that year in the Rainbow Room of the Hotel Baker in downtown St. Charles, was held as a benefit for the local Salvation Army. The concert of Christmas music raised $400 for the charity, Hunt recently recalled in telephone interview. Today, the St. Charles Singers is an acclaimed choir of some 34 voices, all of whom audition for their positions and are compensated for rehearsals and concerts. Over the decades, the choir has performed with the Chicago Symphony Orchestra at the Ravinia Festival and with the Elgin Symphony Orchestra, with whom it recorded a CD for the Naxos label. It has embarked on three European tours. The choir has sung live on Chicago’s WFMT-FM and was the subject of a profile on WTTW-TV. Notably, it has earned the respect of British composer and chorus master John Rutter, a choral music superstar of the English-speaking world, who has flown to the U.S. on several occasions to guest-conduct the St. Charles Singers in the western suburbs and Chicago — and will do so again in May for the St. Charles Singers’ season-finale concerts. The St. Charles Singers is also in the midst of its Mozart Journey, a multi-year initiative launched in 2010 that’s providing audiences with the rare opportunity to hear all of Wolfgang Amadeus Mozart’s sacred choral music. The 2013-14 season concerts will reflect the ensemble’s enthusiasm for Mozart, while celebrating its history and displaying its special strengths and signature sound, Hunt says. Since its inception, the choir has sung more than 700 different works, Hunt says. Julian Bream, the pre-eminent guitarist of our times, has received Gramophone's Lifetime Achievement Award, it was announced today at the magazine's award ceremony at LSO St Luke's in London. Julian Bream, who has received an OBE and a CBE, delighted audiences in the concert hall and with dozens of award-winning recordings for over half a century. His remarkable career is documented in the DVD My Life in Music (Avie AV 2109-PAL version, AV 2110-NTSC version) in which Julian reflects on his life and rise to fame, talks about his love for the lute, the music that touches him the most, the many composers with whom he has worked, and - doing what he does best - plays the guitar. Released in 2007, the DVD, which also includes some invaluable archival footage, contains "two (three if you include the generous extras) of the most enjoyable hours you'll spend in front of a television set," according to William Yeoman in his Gramophone review. Cellist Zuill Bailey will perform the complete cello works by Schumann in concerts on Saturday, October 26, 2013 at 3:30 and 8 pm and on Sunday, October 27, 2013 at 3 pm at the Music Center at Strathmore. The concerts on October 26 at 8 pm and on October 27 at 3 pm, with The National Philharmonic, led by Music Director and Conductor Piotr Gajewski, will showcase Mr. Bailey performing Schumann’s Romantic Cello Concerto. The concerts will also feature other monumental Romantic works --- Brahms’s Tragic Overture and Symphony No. 1. A solo “Mostly Schumann” recital earlier in the day on October 26 at 3:30 pm at Strathmore will feature Mr. Bailey and pianist Navah Perlman performing cello works by Schumann and piano pieces by Brahms. The Oct. 26, 3:30 pm Mostly Schumann recital will feature Mr. Bailey and Ms. Perlman performing such works by Schumann as Five Pieces in Folk Style; the Adagio and Allegro in A-flat Major; Fantasy Pieces; Arabesque in C Major and the Carnival Scenes from Vienna. After intermission, Ms. Perlman will play Brahms’ Intermezzo in A minor and the Ballade in G minor. After the October 26 3:30 pm concert, Mr. Bailey will return to the stage at 8 pm to perform Schumann’s romantic and lyrical Cello Concerto with the National Philharmonic, conducted by Maestro Gajewski. Despite the speed with which he wrote the Cello Concerto, it ranks today among the half-dozen finest works of its kind. It was published in 1854, the tragic year when Schumann attempted suicide by throwing himself into the Rhine. As far as is known, the concerto was never performed during the composer's lifetime and did not receive its initial hearing until June 9, 1860, when it was played at the Leipzig Conservatory in a concert marking the fiftieth anniversary of Schumann's birth. The beautifully lyrical, flowing first movement, marked Nicht zu schnell (Not too fast), begins with the theme that serves as the basic motto for the whole concerto. Near the end, a cadenza for solo cello comments and elaborates on material from the entire concerto. When the orchestra re-enters, its pace is more animated, and the work concludes brilliantly. The October 26 (3 pm) and October 27 (8 pm) concerts will also feature Brahms’s Tragic Overture. Brahms insisted that he did not contemplate a “particular drama as a subject,” therefore, it is not an overture to anything, but simply a one-movement composition in classical form for which the word “overture” was a title of convenience. Closing the concert will be Brahms’ Symphony No. 1 in C minor, Op. 68, a work the composer struggled to write, as he felt under the shadow of Beethoven’s nine symphonies. Yet Brahms’s masterpiece features distinctive, rich music of extraordinary intensity. At early performances, listeners were puzzled by the work’s combination of restrictive formality and expansive expression, but it eventually became one of the most popular symphonies in the repertory. Like Beethoven in his Symphony No. 5, Brahms waits until the final movement to unleash the trombones, monumental here in the heroic trombone chorale of the introduction. Toward the end of the section, the tempo changes, and a horn calls for attention to the movement’s principal section, Allegro non troppo, ma con brio, with its broad hymn-like main theme. This theme unquestionably owes a large debt to Beethoven’s Symphony No. 9. At early performances, comparisons of the thematic melody with the theme of the finale of Beethoven’s Ninth Symphony made Brahms’s partisans accept the idea of calling it “Beethoven’s Tenth Symphony”; however, in truth, the resemblance is slight, except that the listener is aware of a struggle and then a resolution. A free pre-concert lecture will be offered at 6:45 pm on Saturday, October 26 and at 1:45 pm on Sunday, October 27 in the Concert Hall at the Music Center at Strathmore. To purchase tickets to the Romantic Sentiments and Mostly Schumann concerts, please visit nationalphilharmonic.org or call the Strathmore box office at (301) 581-5100. Tickets are $28-$84; kids 7-17 are FREE through the ALL KIDS, ALL FREE, ALL THE TIME program (sponsored by The Gazette). ALL KIDS tickets must be purchased in person or by phone. Parking is complimentary. In November of this year, violinist Leonidas Kavakos will perform with the Boston Symphony in which he will be both conductor and soloist on Mozart’s Concerto No. 4 (November 14-19). In February 2014 he will collaborate with Enrico Pace, his partner on the Beethoven Sonatas Decca recording debut, in performances of those Sonatas in Boston (2/23), Philadelphia (2/25), Princeton (2/27) and three evenings at Carnegie Hall (March 2-4). In May, Kavakos performs with the New York Philharmonic and the Atlanta Symphony. In addition, on October 8 Decca releases his interpretation of the richly romantic Brahms Violin Concerto, one of the great cornerstones of the violin repertoire, in his first concerto disc for the label. He is joined by the Gewandhausorchester Leipzig under legendary Brahms specialist Riccardo Chailly. A pre-performance talk will be given by Bernard Labadie on Sunday, October 20 at 2:00 p.m.
Named after the string ensembles kept close at hand by the kings of France, Canadian ensemble Les Violons du Roy combines historical accuracy with passionate musical expression. The 15-member string ensemble of “almost superhuman perfection” (Opera News) will be joined by the incomparable mezzo-soprano Stephanie Blythe on Sunday, October 20, at 3:00 p.m. in Hertz Hall. The program consists of two orchestral works, Georg Philipp Telemann’s Suite in C major, TWV 55: C6, and J. S. Bach’s Suite No. 4 in D major, BWV 1069 (original version); plus arias from Joseph Haydn’s Arianna a Naxos, Hob. XXXVIb: 2 and George Frideric Handel’s Giulio Cesare, HWV 17. The ensemble was founded in 1984 by its music director Bernard Labadie, who will conduct the concert. Bernard Labadie will give a pre-performance talk beginning at 2:00 p.m. on Sunday, October 20, in Hertz Hall. This event is free to event ticket holders; talks are designed to enrich the experience of concertgoers. Québec City–based Les Violons du Roy was founded by artistic director Bernard Labadie almost 30 years ago and specializes in the vast repertoire of music for chamber orchestra, performed in the stylistic manner most appropriate to each era. Although the ensemble plays on modern instruments, its approach to the works of the Baroque and Classical periods has been strongly influenced by current understanding of performance practice in the 17th and early 18th centuries; in this repertoire Les Violons du Roy uses Baroque bows and bowing technique. Stephanie Blythe, considered one of the finest mezzo-sopranos of the day, has sung in many of the renowned opera houses in the United States and Europe and with many of the world’s finest orchestras. This season, she appeared as Fricka in the Metropolitan Opera’s new productions of Das Rheingold and Die Walküre and made her debut at the Lyric Opera of Chicago in Un Ballo in Maschera and The Mikado. She also appeared in concert at the Concertgebouw and with the Collegiate Chorale in Carnegie Hall. This summer she appeared in concerts at the Cincinnati May Festival and the Tanglewood Festival. Blythe has received many awards, including the 2009 Musical America’s Vocalist of the Year, 2007 Opera News Award, and the 1999 Richard Tucker Award. Tickets for Les Violons du Roy with Stephanie Blythe on Sunday, October 20, at 3:00 p.m. in Hertz Hall range from $30.00 to $68.00 and are subject to change. UC Berkeley students are half price. Tickets are available through the Ticket Office at Zellerbach Hall; at (510) 642-9988; at www.calperformances.org; and at the door. For more information about tickets and discounts, go to http://calperformances.org/buy/discounts.php or call (510) 642-9988. Seven baroque trumpeters from across the country will play music from ten different 17th and 18th century composers. Sinfonia creates a rare event - with no all-professional baroque trumpet ensemble in the United States, we decided to gather some of the country’s top early-music professionals for a program that explores the full array of ensemble music for trumpets, timpani and continuo. The program includes rarities from 17th and 18th centuries including Johann Ernst Altenburg’s brilliant concerto for seven trumpets and timpani, solo sonatas, and works for four, five and seven trumpets by Biber, Zelenka and others. Saturday, October 5 at 8PM at the Cultural Arts Center in Silver Spring. Full information and tickets at www.bachsinfonia.org. Settings by Grainger, Holst, MacMillan, Moeran, Warlock, Vaughan Williams, and others. Hilary Campbell, Blossom Street. Naxos 8.573069. No, it’s not the song by Men at Work. Nor is it part of the refrain from The Drifters’ “Under the Boardwalk.” It’s an album of classic British folk music, arranged for choir by various famous British composers. Hilary Campbell, founder and director of the chamber choir Blossom Street, laments the dearth of British folk song on the concert platform, despite the public’s continued interest in the subject and the number of prominent British composers who have contributed to the field. Obviously, the present album is her attempt to amend this issue. Certainly, one could not find a better advocate of the genre. In addition to leading the Blossom Street choir, Ms. Campbell is a freelance musician based in London, the Musical Director of the Music Makers of London, office choirs at L’Oreal and Hearst Magazines, Choral Director at Blackheath Conservatoire, and Assistant Conductor of Barts Choir. 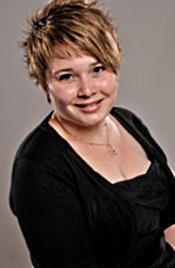 She is also the 2012-13 Meaker Fellow at the Royal Academy of Music, the first choral conductor so honored. Busy woman. As far as concerns the Blossom Street choir, there appear to be between ten and twenty-three members. I say that because a booklet picture shows ten of them, and underneath the picture the booklet lists twenty-three: six sopranos, five altos, six tenors, and six basses. I suppose the number varies depending on the material they’re singing. Of course, the composers on the album didn’t actually originate the folk songs for which they are famous. They collected them, arranged them, reset them, reinterpreted them, what have you. A folk song by definition is one that originates among the common people of a country and is passed on by oral tradition from one generation to the next, often existing in several different forms. Only these days, modern composers have often made their own folk-song arrangements the standards by which we have come to know them. 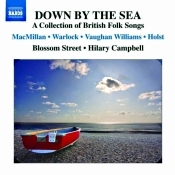 Anyway, Down by the Sea is a collection of folk and folklike songs with a nautical theme, all about sailors and whalers and often the girls they left behind. It begins with the tune you can hear an excerpt from below, “Lassie, Wad Ye Loe Me?” arranged by James MacMillan. Folk songs and poems are often big on dialect. See Robert Burns. The choir sing it like angels. Not only is there a remarkable smoothness to their presentation, there is a commendable integration of voices. The singers combine as one, strong and flexible, never losing focus. The four sections of the choir come through splendidly, each a distinct segment of the whole but with such seamlessness that you never notice them as separate entities unless forcing yourself to do so. And so it goes through fifteen selections. Composers represented include the aforementioned MacMillan, plus Alexander Campkin, Ralph Vaughan Williams, Judith Bingham, Peter Warlock, John Duggan, Percy Grainger, Hilary Campbell, Gustav Holst, John Byrt, Stuart Murray Turnbull, Paul Burke, Kerry Andrew, Andrew Bairstow, and E.J. Moeran. Moreover, seven of the songs make their debut on the album with world-première recordings. Favorites? The opening number, to be sure. In addition, Warlock's "Yarmouth Fair," a snappy ditty; Grainger's setting of a traditional Scottish melody, "Mo Nighean Dubh" ("My Dark-Haired Maiden"), a really sweet love song; Holst's "Awake, Awake" in which the sopranos hold forth with wonderful supporting accompaniment from the others; Byrt's jaunty "Among the Leaves So Green, O." The last half dozen items on the program become quite hushed, the choir most evocative and atmospheric. Then the album closes with Moeran's "The Sailor and Young Nancy," a fairly traditional folk tune from Norfolk about a sailor bound for the West Indies saying good-bye to his love, whom he promises to marry upon his return...if ever. If there is any minor complaint I have about the album, it is that its fifteen tracks add up to less than an hour of music. I understand that rehearsing and recording more numbers would have cost more money, but, still, a CD can hold up to eighty minutes, making this disc’s fifty-five minutes seem a bit short. Just sayin’. Naxos recorded the songs at St. Philip’s Church, Norbury, London in November 2012. The acoustic lends the choir plenty of reverberant air, making them sound like an even bigger group than they are. Yet the resonance takes little away from the clarity of the voices, just adding a greater degree of mellowness and space to the proceedings. The high end (upper midrange, actually) can sound a touch bright at times, but it is not especially distracting and probably contributes to the choir's overall definition. So, while it may be a tad too reverberant and occasionally too bright for some listeners, it is probably a fairly accurate representation of the singers in this church environment. Also, Rimsky-Korsakov: Capriccio espagnol. 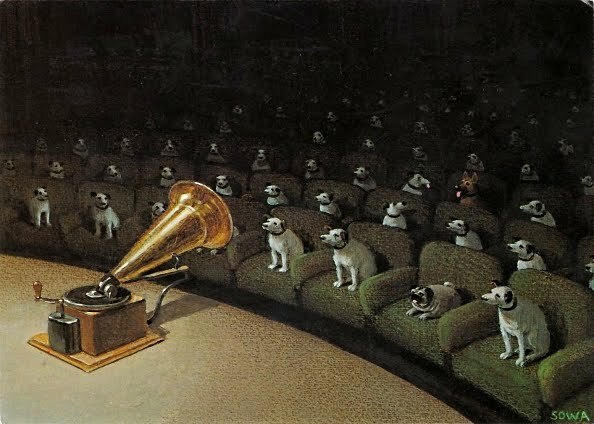 Kiril Kondrashin, RCA Victor Symphony Orchestra. JVC JM-XR24013. Years ago, a reader took me to task for praising what he considered the unnecessarily high price of JVC’s XRCD series of audiophile remastered discs. In his opinion, paying upwards of a dollar a minute for a half an hour’s music was a rip-off. He had, of course, a point; especially today when you can only find some of these things used at even more exorbitant prices. These remastered discs from JVC, FIM, Hi-Q, and others are expensive, and they do not provide any longer playing times than their counterpart LP’s provided when they first appeared back in the old vinyl days. On the other hand, you get what you pay for. Ferraris, Lamborghinis, and Bugattis are very expensive automobiles and generally only seat two people. But if you have the money and the desire, the cars are worth the price. The cost of the JVC discs isn’t only in their manufacture, although the packaging they come in is undoubtedly more costly than an ordinary jewelbox. The price factor comes into play in the extra time, engineering, and equipment required for JVC to make the transfers. This isn’t brain surgery. No one is forcing a person to buy JVC’s remastered discs or anyone else’s. And since their superiority over the regular product is only slight at best, no one is even recommending that people do so. But if you want the best, you pay for the best. It’s that simple. Anyway, moving on. Kiril Kondrashin had been conducting music for a long time before he struck it rich accompanying Van Cliburn in RCA’s historic recording of Tchaikovsky’s First Piano Concerto in May of 1958. Thereafter, Kondrashin became much better known, especially in America, and continued to record for many years. Several months after recording the Piano Concerto, RCA asked him to do a series of recordings for them, one of which is this coupling of Tchaikovsky’s Capriccio italien and Rimsky-Korsakov’s Capriccio espagnol. I remember the album at the time of its release being stunning. Audiophiles considered the LP version among the best demo fare of the day, and, of course, I couldn’t wait to get my hands on one, even though I was just in high school at the time and didn’t really have the money for too many classical records. Nevertheless, I bought it, and the LP remained in my collection for many years until it succumbed to the CD revolution. Foolish me; I figured at the time that literally all of the great recordings of at least the stereo age would quickly make it to compact disc. Well, this one took quite a while, and I never did buy the RCA CD issue. So I have only a memory with which to compare this JVC remastering. Frankly, in the Tchaikovsky Capriccio italien I was expecting more. JVC’s 2003 XRCD24 remastered disc begins with what sounded initially to my ears like something much too bright and hard. As the music continued, I realized that what I was hearing was a very clear, very clean high end, a fairly transparent midrange, and very little compensating bass. Kondrashin’s rather slow performance also took me somewhat aback; I remembered it as being more vigorous and exciting. Yet both the sound and the interpretation grew on me, and by the last few minutes of the piece, the conductor had, indeed, built up a good head of steam, and even the sound was showing signs of low-end response. The Capriccio espagnol, however, was an entirely different case. Recorded on the same day as the Capriccio italien and engineered and produced by the same team of Lewis Layton and Richard Mohr that brought us Fritz Reiner’s great “Living Stereo” recordings, the Capriccio espagnol sounds almost entirely different from the Capriccio italien. The sonics appear smoother, less bright, and more weighty in the bass; and the performance is exhilarating from the very outset. Go figure. 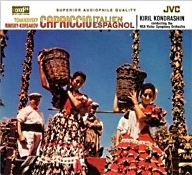 In fact, I’m willing to say this is the best Capriccio espagnol currently before the public. 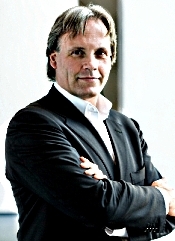 Markus Stenz, Gurzenich-Orchester Koln. Oehms Classics OC 652. Oh, joy. Another live recording. Readers who wish to avoid having to read a personal rant may safely move on to the next paragraph. I mean, even the phrase annoys me. Is a studio recording or one without an audience a “dead recording”? I know that many conductors and record companies swear by recordings made before a live audience, saying it makes the performance more spontaneous and all. Leonard Bernstein insisted on doing most of his recordings live from the early Seventies on, saying that he liked the results better. Maybe he felt the audience inspired him the way no empty hall could. I dunno. What I do know is that I’ve heard very few live recordings I thought sounded better than more-controlled studio productions. In a live recording the engineer has to minimize audience noise either by placing the microphones too close to or too far away from the orchestra for my liking, and still I usually hear or sense the audience’s presence. Then there are the unfortunate bursts of applause that some engineers, conductors, or record companies persist in retaining. It seems to me that the primary reason for most live recordings is economic. It’s expensive to pay an orchestra for a studio recording session, and, therefore, a paying audience helps subsidize the recording costs. That said, there is surely little to criticize about the performance on the present disc. Markus Stenz has been the conductor of the Gurzenich Orchestra Cologne since 2003, and the orchestra itself is one of the oldest in Europe, tracing its origins back to 1827. Moreover, the orchestra premiered a number of big works in its time, including both the Mahler Third and Fifth Symphonies. 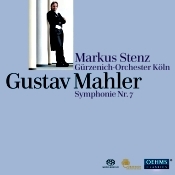 Furthermore, Stenz himself has already proved his worth in Mahler by recording most of the symphonies and songs to good effect. His Seventh is no exception. So, what’s the Seventh all about, this typically massive Mahler symphony? The conventional answer is that it’s a transitional work, connecting the darker Sixth Symphony to the triumphant Eighth. Of course, musical scholars are keen on pointing out how Mahler interconnected all nine (or ten or eleven) of his symphonies, forming one grand musical statement. If there is a sublime scheme in things, the Seventh has long been the neglected stepchild of the lot. While the other symphonies get all the love, the Seventh often goes wanting. Gustav Mahler (1860-1911) wrote the Symphony No. 7 in E minor in 1904-05, and it is probably his most biographical work. Along with the Fifth and Sixth Symphonies, the Seventh forms a middle trio of Mahler symphonies, all of them purely orchestral, with the Seventh being the oddest of the group. Even more so than most of Mahler’s works, its five movements are open to multiple interpretations, and with practically every conductor on Earth having recorded them, we get a variety of readings. I remember one critic once explaining that the symphony was a recounting by Mahler of his trip to the countryside, complete with his packing of suitcases, traveling through rural roads, along pastures, and on to his destination. Other critics see its five movements more generally as a journey from dusk until dawn or a night walk into morning, a kind of eccentric, extended nocturne. Maestro Stenz takes a more middling approach than most conductors, attempting to make the music all things to all people. He opens the symphony (when "Nature roars") on an appropriately heavy note, setting us up as Mahler intended for a journey from darkness into light, for as the composer himself commented, it was a work of "predominantly cheerful, humoristic content." Well, whether you believe that or not is beside the point. I suppose you could say that most of Mahler's work was "humoristic" if you count the various ironic, sardonic movements. Let's say that Stenz carries out the composer's instructions that "the music must always contain a longing for beyond this world." Stenz provides an airy, singing, otherworldly quality to the playing. This is particularly evident in the two Nachtmusik interludes that bookend the middle movement. These serenades have a lilting yet shadowy air about them, the second one more pastoral than the first. Then, speaking of "shadowy," the central Scherzo is a kind of demonic dance macabre, which Stenz pulls off pretty well, without making it too melodramatic. Although it's still a little creepy, it's never a caricature of itself. It seems more of an inevitable piece of the bigger composition than sometimes occurs when a conductor gets carried away with the bizarre nature of Mahler's creation. The unrest is there, but it's mostly just mysterious without being cacophonous. That brings us to the Finale, one of Mahler's more unruly movements. Many listeners hear echos of Wagner's Meistersinger in it, the fairground, the hustle and bustle, and, naturally, the jubilant fanfares. They're surely hard to miss. Stenz guides us through the hurly-burly pretty successfully, never letting the music simply march along from one Wagnerian crescendo to another but smoothly laying out the plan and seamlessly connecting the dots. In other words, Stenz ensures that Mahler's music remains of a whole, building and releasing the conflicts and stresses in perfectly natural, free-flowing rhythms, ending on a wonderfully triumphant note. It's a most enjoyable reading. Producer and engineer Dieter Oehms recorded the music live for multichannel and two-channel stereo SACD, June 23-27, 2012 in the Kolner Philharmonie (Cologne Philharmonic Hall), Koln, Germany. I listened only to the two-channel SACD layer where I found the sonic value of the live recording remained high despite the relatively close miking. There is a moderately good sense of depth to the orchestra, and we get a reasonably wide dynamic range and impact. However, the miking also reveals flaws in the orchestral execution. What's more, the midrange sounds a tad too soft, warm, and weighty much of the time where you might expect more transparency (the orchestration is lighter than in most Mahler symphonies). High-end extension sounds impressive, and occasional bass thumps make their mark. One almost never hears the audience, thankfully, but there is a slight background noise present during quieter passages. Oh, and there is no applause at the end to interrupt our final appreciation of the music. With no applause and a quiet audience, it’s almost like a non-live recording. Which is what they should have done in the first place. 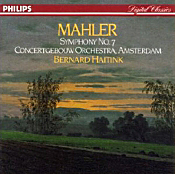 For some years now my favorite recordings of the Mahler Seventh have been those from Bernard Haitink and the Concertgebouw Orchestra, his earlier analogue account for its greater tension and his later digital one for its greater beauty (both for Philips). As for Stenz, his interpretation holds up pretty well by comparison, offering some of the same combinations of tenseness and delight. Nevertheless, the Gurzenich Orchestra cannot match the Concertgebouw for sheer richness of tone, lushness of character, or precision of playing. One last note: While the music never sounds rushed, Stenz is able to move it along well enough to fit on a single disc. Joyce DiDonato, mezzo-soprano. 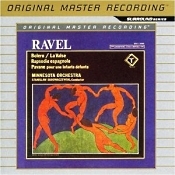 Erato 5099993412124 (2-disc set). It seems like just a few years ago that American mezzo-soprano Joyce DiDonato was a young, upcoming opera singer. That was well over a decade ago, and she’s already issuing a “best of” album. I suppose that shows my age and how fast time flies. Here, we have a collection of thirty-one selections recorded over a ten-year span and spread over two discs, with half of dozen of the numbers newly recorded (2013). As I’ve said before, I know next to nothing about opera, despite my having heard a ton of it live and on record over the years. For my taste, most operas are too long, too slow, and too melodramatic for my limited attention span. That said, it’s hard not to like the best operas and doubly hard to resist a good operatic singer like Ms. DiDonato. While most young tenors and sopranos seem to disappear from view after their first performance or two, Ms. DiDonato is one of the survivors, a woman who has proved her worth over the past decade or so, becoming one of the world’s truly great singers. Gramophone magazine awarded her “Artist of the Year” status in 2010, and she won a Grammy Award for Best Classical Vocal Solo in 2012. Although Ms. DiDonato began early on in her career specializing in vocal music of the Baroque and Classical periods--Handel, Mozart, Rossini--she has expanded her repertoire since then, and the present collection additionally contains works by Bellini, Berlioz, Richard Strauss, even Rogers & Hammerstein and Arlen & Harburg. Ms. DiDonato possesses a robust lyric-coloratura, mezzo-soprano voice, with a good deal of control and flexibility, which she amply demonstrates on the many tracks offered here. Whether the situation demands a display of love, pain, joy, anger, or sorrow, Ms. DiDonato is ready with the appropriate vocal gesture in a tone so pure, it kept even this non-opera fan in rapt attention. In short, she is able to do almost anything with her voice, exhibiting a remarkably wide vocal and emotional range. I won’t try to list all thirty-one operatic arias and popular songs in the album, but I will tell you the composers involved, the accompanying orchestras and conductors, and a few of my own favorite numbers. The music comes from the pens of Handel, Monteverdi, Vivaldi, Porta, Orlandini, Giacomelli, Mozart, Gluck, Rossini, Bellini, Berlioz, Richard Strauss, Heggie, Rodgers & Hammerstein, and Arlen & Harburg. Providing the accompaniment are Alan Curtis and Il Complesso Barocco, Christophe Rousset and Les Talens Lyriques, Emmanuelle Haim and Le Concert d’Astree, Fabio Biondi and Europa Galante, Kazushi Ono and the Orchestre de l’Opera National de Lyon, Yannick Nezel-Seguin and the Mahler Chamber Orchestra, Edoardo Muller and Antonio Pappano with the Orchestra dell’Accademia Nazionale di Santa Cecilia-Rome, Patrick Summers and the Houston Grand Opera Orchestra, John Wilson and the John Wilson Orchestra, and Michael Stern and the Kansas City Symphony. That’s quite a supporting cast. Among my favorites, I liked Handel's "Ombra mai fu," of course, a part of which you can hear below. It amply demonstrates Ms. DiDonato's rich timbre and ability to adapt to almost any part. I enjoyed Handel's "Crude furie degl'oridi abissi" not only for the virtuosic nature of DiDonato's voice but for the greater dimensionality of the orchestra behind her. Vivaldi's "Non saria pena la mia" and Orlandini's "Col versar, barbaro, il sangue" show off the singer's gymnastic pliability; Mozart's "Voi che sapete" and "Aprite, presto aprite" display her lighter side. But trying to find favorites among favorites is a thankless and futile task. Still, I think it was her Mozart and Rossini I enjoyed most. Runners-up, though, include her excursions into Broadway and movies with selections like "You'll Never Walk Alone" from Carousel, “Climb Ev'ry Mountain” from The Sound of Music, and "Over the Rainbow" from The Wizard of Oz. As I've said, she appears able to do anything, and I confess to shivers of delight with "Over the Rainbow." Now, I’m sorry if I seem a little vague about who’s recording and releasing what these days, but here we have an Erato/Warner Classics release of recordings made between 2004 and 2013 by EMI, Virgin Classics, and Erato. I think the answer to who and what lies in the fact that Universal Music Group bought EMI in 2012 and subsequently sold the Parlophone Label Group, including EMI Classics and Virgin Classics, to the Warner Music Group. Then Warner announced that they would absorb the EMI Classics artist roster and catalogue into their Warner Classics label, and Erato Records would absorb Virgin Classics. So, I suppose we can look forward in coming years to a ton of old EMI and Virgin material re-released under the Warner or Erato labels. That it will thoroughly confuse the classical-buying public seems a mere afterthought. Anyway, the sound understandably varies a little from one track to the next due to the time span covered, the different venues, and the number of ensembles involved. However, there is a surprising uniformity among them, all of it miked somewhat closely and sounding slightly “pop” as opposed to most full-scale opera recordings. Most of the items are studio productions, but at least three of them, with the Houston Grand Opera and the Kansas City Symphony, are live recordings and don't sound quite as good as the rest. The voice throughout is often close, very well focused, well defined, with clear but occasionally one-dimensional ensemble accompaniment (although this, too, varies, and the best tracks display a good deal of orchestral depth). Hindemith, Mozart also on program in Evanston (Oct. 27), Geneva (Nov. 3), Chicago (Nov. 6). For “Danube Destinations,” its second concert program of the season, The Orion Ensemble, winner of the prestigious Chamber Music America/ASCAP Award for Adventurous Programming, begins the series of Beethoven Opus 9 string trios that will carry through the rest of the season. These performances include the Ensemble’s debut at Sherwood, The Community Music School at Columbia College Chicago November 6, as well as performances at the Music Institute of Chicago’s Nichols Concert Hall in Evanston October 27 and the First Baptist Church of Geneva November 3. Joining Orion is guest violist Stephen Boe, a member of The Chicago Ensemble who teaches at the Music Institute of Chicago. With “Danube Destinations,” Orion turns to the works of three German-speaking composers: Ludwig van Beethoven, Paul Hindemith and Wolfgang Amadeus Mozart. All were prolific in many musical genres and innovative in their writing styles, influencing the composers who followed them. Beethoven wrote his three Opus 9 string trios in 1797 and 1798, after he had made a name for himself as a pianist in Vienna and was beginning to travel and be known in the wider continent. Each of the Opus 9 trios is in four movements, a form he would use for most of his quartets and symphonies. The writing is weighty and virtuosic, often contrapuntal, and fully Beethovenian in its energy, passion and strength. This program includes the Trio in G Major for Violin, Viola and Cello, Op. 9, No. 1. Hindemith’s Quartet for Clarinet, Violin, Cello and Piano (1938) exudes a surprisingly broad and roomy air, given its conception just before WWII. It is a prime example of Hindemith’s motivically conceived contrapuntal writing and is resplendent with many textural contrasts. The concert also features a seldom-heard bonus piece by Hindemith, the Duett for Viola and Cello (1934), which gives Orion the opportunity to highlight the musical talents of guest violist Stephen Boe and Orion cellist Judy Stone. Mozart composed the Quartet in G Minor at the request of Austrian publisher and composer Franz Anton Hoffmeister. It was unusual in that the string parts were more substantial than earlier works written for piano with (usually one or two) strings. 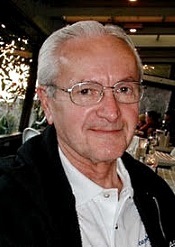 According to music scholar David Grayson, no previous composer had so “transcended the usual limitations imposed by private, domestic music-making and aspired to the level of public concert music.” The quartet is replete with virtuosic piano writing, similar to Mozart’s piano concerti, and features considerable interplay between the piano and strings, as well as among the string parts. The Orion Ensemble’s “Danube Destinations” concert program takes place Sunday, October 27 at 7:30 p.m. at Music Institute of Chicago’s Nichols Concert Hall, 1490 Chicago Avenue in Evanston; Sunday, November 3 at 7 p.m. at First Baptist Church of Geneva, 2300 South Street in Geneva; and Wednesday, November 6 at 7:30 p.m. at Sherwood, The Community Music School at Columbia College Chicago, 1312 S. Michigan Avenue in Chicago. Single tickets are $26, $23 for seniors and $10 for students; admission is free for children 12 and younger. A four-ticket flexible subscription provides a 10 percent savings on full-priced tickets. For tickets or more information, call 630-628-9591 or visit orionensemble.org. ABS’s presentations this December will again be among the must-see events for Northern California music lovers. Premium seating for our annual performances of Handel’s Messiah at San Francisco’s Grace Cathedral (December 11 & 12) is nearly sold out for both nights and tickets for the remaining seats have been moving rapidly. A third performance of Messiah at the Mondavi Center in Davis, CA, follows on Sunday, December 15. On Saturday December 14, ABS returns to St. Stephen’s Church in Belvedere for “An ABS Christmas,” a special one-night only concert featuring Baroque trumpet virtuoso John Thiessen and soprano Shawnette Sulker. Berkeley Symphony, recognized for its adventurous programming and fresh interpretations of classic European traditions, expands its 2013-2014 season with an announcement of the new Berkeley Symphony & Friends Chamber Music Series. Co-produced by the Piedmont Center for the Arts, the series includes five unique chamber music concerts scheduled throughout the season and designed to showcase the exceptional artistry of the musicians across a wider community. A strong presence in the Bay Area, Berkeley Symphony recently performed with Placido Domingo for the Cal Performance/Another Planet co-production at the Greek Theater on September 7. The Orchestra will team up with the Martha Graham Dance Company on January 31, 2014 and February 1, 2014 also presented by Cal Performances. Berkeley Symphony’s prominence as a major contributor in the classical world was recently acknowledged by the League of American Orchestras with a 2012-2013 ASCAP Award for Adventurous Programming and by the National Endowment for the Arts with an Arts Works grant to support its Music in the Schools program. to the three smallest bones in the human body, the auditory ossicles, located in the middle ear. The piece focuses on the physical aspect of sound, the wonder of sound and the miracle of cognition. San Francisco Chronicle critic Joshua Kosman commented that “Campion keeps clarity and even beauty at the fore” and is described as “essentially an impressionist, writing music based on gesture and its expansion” by San Francisco Classical Voice’s Benjamin Frandzel. The program also features fast-rising Italian pianist Alessio Bax, considered by The New Yorker as “perhaps the most elegant of today’s young pianists,” as soloist in Rachmaninoff’s Piano Concerto No. 2. An active international soloist and winner of numerous prestigious awards, Bax was recently honored with the 2013 Martin E. Segal Award and the 2013 Andrew Wolf Chamber Music Award. Wagner’s symphonic poem Siegfried Idyll completes the program. Immediately following the concert, Berkeley Symphony will host an Opening Night Dinner honoring Cal Performances Director Matias Tarnopolsky in the Zellerbach Mezzanine. Dinner guests will be joined by Joana Carneiro, Edmund Campion and Alessio Bax. The inaugural Berkeley Symphony & Friends Chamber Music Series begins at 5 p.m Sunday, September 15 at the Piedmont Center for the Arts and features guest violinist Stuart Canin, former concertmaster of the San Francisco Symphony and San Francisco Opera, alongside musicians from the Berkeley Symphony. Works include Mozart’s Duo for Violin and Viola in G Major, Martinu’s Three Madrigals for Violin and Viola, Prokofiev’s Sonata for Two Violins and César Franck’s Sonata for Violin and Piano in A Major. The Series continues throughout the 2013-2014 season with performances on November 3, January 19, 2014, March 16, 2014 and April 13, 2014. Full artist and repertoire details for the remaining four programs will be announced at a later date. For further information call (510) 841-2800, ext. 1 or visit www.berkeleysymphony.org. The 2013-2014 subscription season continues December 5 at 8 p.m. with a program featuring Australian composer Brett Dean’s most celebrated work, Carlo, alongside two masterworks from the classical repertoire. San Francisco Symphony Associate Principal Cellist Peter Wyrick joins Berkeley Symphony to perform Haydn’s Cello Concerto No.1 with Brahms’s Symphony No. 2 completing the program. On February 6, 2014 at 8 p.m., Berkeley Symphony will present a world premiere work for violin and ensemble by Berkeley-native Samuel Carl Adams, son of composer John Adams and a graduate of Berkeley’s Crowden School. British violinist Anthony Marwood, praised by BBC Music Magazine as a “consummate artist…blessed with boundless energy, intellectual curiosity and creative wizardry,” features as soloist. Stravinsky’s Pulcinella Suite opens the program, which concludes with Mendelssohn’s Symphony No. 3 Scottish. The 2013-2014 season closes on May 1 with a program featuring Bay Area premieres from two highly regarded Finnish composers: Esa-Pekka Salonen’s Nyx and Kaija Saariaho’s Adriana Songs. Kelley O’Connor, described as “a very young contralto with an astonishing voice” by San Francisco Classical Voice critic Janos Gereben, is featured as soloist for the latter. The program concludes with Beethoven’s beloved Symphony No. 5. Sunday, October 13 AT 3:00 p.m. in Hertz Hall, Berkeley, CA. Pianist and music director Robert Spano accompanies the celebrated singers. Soprano Jessica Rivera and mezzo-soprano Kelley O’Connor will premiere song cycles by composers Jonathan Leshnoff and David Bruce in a program of solos and duets on Sunday, October 13 at 3:00 p.m. in Hertz Hall, Berkeley. Pianist and conductor Robert Spano will accompany the two singers. The program also includes the Bay Area premiere of Cantos de la Cocina by Berkeley native Gabriela Lena Frank, a Grammy Award-winning composer and pianist who writes metaphorically of love and life through the act of cooking; the work was composed for Rivera and is performed by her and O’Connor. “Rivera’s singing is so distinctive in tone—and so unabashedly beautiful” (San Francisco Chronicle), while O’Connor, who makes her Cal Performances debut, is acclaimed for “the beauty of her singing, the way every word [is] given meaning” (Los Angeles Times). Both O’Connor and Rivera’s new song cycles receive their world premieres at Cal Performances, where they and Spano kick off a nationwide tour that includes stops in Georgia and Ohio, and culminates with a performance in Carnegie Hall. Leshnoff’s new work for Rivera, Monica Songs, blends texts from the Book of Ruth, Emily Dickinson, e.e. cummings, and personal letters to explore themes of life and death, love and loyalty, and joy and sorrow. Rivera, a champion of new composers, also premiered a Carnegie Hall–bound work by Mark Grey when she last sang at Cal Performances in 2011. Leshnoff’s recent compositions span flute, guitar, and cello concerti, string quartets, and orchestral works, and have been lauded for “sheer sonic beauty” (Washington Post). Bruce’s work, That Time with You, for mezzo-soprano and piano, was commissioned by Carnegie Hall and Kelley O’Connor. Bruce, who has written for Yo-Yo Ma’s Silk Road Ensemble and served as 2012–2013 composer in residence at London’s Royal Opera House, has been praised for creating vocal lines that are “invitingly melodic and deceptively simple. Though they often have a folksy ring at first, they invariably grow more complex and varied” (New York Times). Solo works by Federico Mompou and Claude Debussy, and duets by Camille Saint-Saëns, Charles Gounod, and Felix Mendelssohn complete the concert. Jessica Rivera’s performing career includes traditional and contemporary opera, concert halls, and intimate recitals. She has collaborated with composers, including John Adams, Osvaldo Golijov, and Nico Muhly, and sang the role of Nuria in the 2007 Grammy-winning recording of Golijov’s opera Ainadamar with the Atlanta Symphony Orchestra, conducted by Robert Spano. California native mezzo-soprano O’Connor also appeared on the Ainadamar recording as Lorca, and more recently sang in a world premiere staging by Peter Sellars of John Adams’s The Gospel According to the Other Mary conducted by Gustavo Dudamel. In addition to opera and recitals, O’Connor has sung in concert with many top orchestras, including the National Symphony Orchestra and symphony orchestras in Toronto, Atlanta, St. Louis, Pittsburgh, Cincinnati, and Detroit, and has performed and recorded throughout Europe and Asia. Accompanist Robert Spano is music director of the Atlanta Symphony Orchestra and the Aspen Music Festival and School. He has conducted orchestras and opera companies worldwide, presented three world premieres in his twelve years in Atlanta, and contributed to six Grammy-winning recordings. As a pianist, he has performed works ranging from Bach to Gershwin to Rachmaninoff and accompanied artists, including bass-baritone Eric Owens, violinists David Coucheron and Yoon Jung Yang, and his frequent collaborator Jessica Rivera. Tickets for Jessica Rivera and Kelley O’Connor, with pianist Robert Spano, in recital on Sunday, October 13 at 3:00 p.m. in Hertz Hall are $32.00 but are subject to change. Half-price tickets are available for UC Berkeley students. Tickets are available through the Ticket Office at Zellerbach Hall; at (510) 642-9988; at www.calperformances.org; and at the door. For more information about discounts, go to http://calperformances.org/buy/discounts.php. American Opera Projects and The Phoenix Concerts will co-produce "AOP25: Celebrating Composers & the Voice," a concert featuring the work of composers and librettists from AOP's C&V (Composers & the Voice) program, an annual fellowship that trains composers to write for the operatic voice. The concert will take place Friday, October 11 at 8PM at the Church of Saint Matthew and Saint Timothy: 26 West 84th Street, New York City. Tickets are $10 at the door or free with a student ID. A complete list of artists will be available through The Phoenix Concerts website www.thephoenixconcerts.org. Phoenix Concerts Artistic Director and C&V alumna (2005-06) Gilda Lyons will be one of the highlighted composers, along with Conrad Cummings, Daniel Felsenfeld, Vivian Fung, Hannah Lash, and many others. The concert coincides with the seventh iteration of C&V and the twenty-fifth anniversary of AOP. Featured performers include soprano Adrienne Danrich (San Francisco Opera, Cincinnati Opera), mezzo-soprano Nicole Mitchell (New York Philharmonic, Sarasota Opera) with Mila Henry on piano. Kicking off the “Sacred Music in a Sacred Space’s” N.P. Mander Organ Recital is resident organist K. Scott Warren, September 29 at New York City’s Church of St. Ignatius Loyola. Hear the spectacular N.P. Mander Organ played by organist K. Scott Warren on September 29 at 3pm. This program will feature selections from Bach and Widor performed in the spectacular and ethereal Church of St. Ignatius Loyola in New York City. Call 212-288-2520 or click here for tickets: http://smssconcerts.org/concerts/cat.listevents/2013/09/09/. Organist, pianist, conductor and composer K. Scott Warren opens the N.P. Mander Organ Recitals with selections from Bach and Widor. 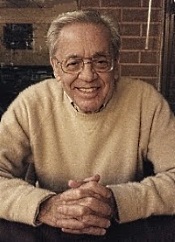 His program draws from the third part of the Clavierübung, which Warren describes as “Bach's rich compendium of chorale preludes based on the ordinary of the German Mass and catechetical hymns.” The first part of the program features the famous Prelude and Fugue in E-flat, with the Kyrie cycle and the baptism hymn Christ, unser Herr, zum Jordan kam. To introduce its stellar faculty to downtown Evanston workers and residents and welcome them to its new campus, the Music Institute of Chicago is offering free lunchtime concerts and conversation one Wednesday per month from 12:15 to 1 p.m. at its new home, 1702 Sherman Ave., Evanston, IL. Lunch is available for purchase from the Pret A Manger Kiosk, and free coffee will be served. Kicking off the series Wednesday, September 25 is jazz and classical pianist Ron Surace, who will perform some of his favorite jazz standards and original compositions. He has performed extensively throughout the U.S. and Europe. He is narrator/pianist with the Concertani di Chicago Orchestra, Atlanta Pops Orchestra, and the Huntsville Symphony and has performed with the Glenn Miller Orchestra (Ray McKinley), Bob Crosby, Ralph Marteri, Si Zentner, and the Bob Hope and Steve Allen road show orchestras. He is director/pianist of the “In Full Swing” jazz orchestra. Actor Malcolm McDowell has just been announced as the narrator for Angel Heart. The family, musical storybook premieres at Cal Performances before heading to Carnegie Hall. The production will take place Oct. 6 at 5 p.m. at Hertz Hall, Berkeley, CA. Angel Heart blends original music by award-winning composer Luna Pearl Woolf with familiar tunes and original text by bestselling children’s fantasy writer Cornelia Funke. The production brings together celebrated artists from multiple disciplines, including cellist Matt Haimovitz (Woolf’s husband) and his all-cello ensemble Uccello, soprano Lisa Delan, and mezzo-soprano Frederica von Stade, along with the Oakland-based Children’'s Choir of St. Martin de Porres School, a vocal ensemble founded by von Stade. Antonio Pompa-Baldi, piano. Steinway & Sons 30015. This is another of those “theme” albums. Except the theme is a little nebulous. 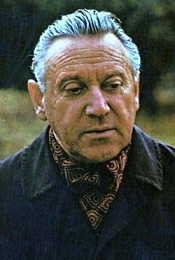 According to the record jacket, critic Claude Rostand described French pianist and composer Francis Poulenc (1899-1963) as “a lover of life, mischievous, bon enfant, tender and impertinent, melancholy and serenely mystical, half monk and half rascal.” A nightclub owner gave popular French singer Edith Piaf (1914-1963) the nickname “The Little Sparrow.” They were both French, both popular in their field, and roughly contemporaneous. 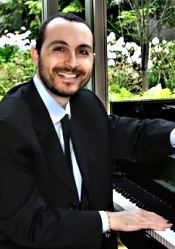 On the present album Italian-American pianist Antonio Pompa-Baldi performs piano arrangements or elaborations of music by both musicians, and to very good effect. Especially when he plays them so well, so sensitively, so captivatingly. If you’re not sure about Pompa-Baldi, he has over a dozen recordings to his credit, most of them for the Centaur label. In addition, he received third prize in 1998 at the Marguerite Long-Jacques Thibaud Competition in Paris, winning a special prize for the best interpretation of a contemporary work written for the competition (Tumultes by Serge Nigg). Later, after winning the 1999 Cleveland International Piano Competition, he won a silver medal at the eleventh Van Cliburn International Piano Competition in 2001, where he also received a prize for the best performance of a new work (Three Impromptus by Lowell Liebermann). After moving to the United States, he served on the piano faculty of the Oberlin College Conservatory of Music, and currently serves on the faculty of the Cleveland Institute of Music. He has been a Steinway Recording Artist since 2003, and now that the folks at Steinway & Sons are recording him on their own label, one hopes he’ll continue to get exposure. 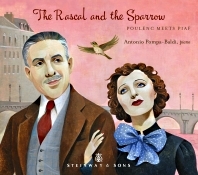 The Rascal and the Sparrow contains twenty-seven short selections, seventeen written by Poulenc and ten taken from Piaf standards. Things start out with Poulenc’s “Les chemins de l’amour” (“Paths of My Love”), a delightful waltz tune you can hear in part below. It’s an attractive way to begin the program because the song is so delightful with its slightly melancholic tone and always lilting rhythms, done to perfection by Pompa-Baldi, who caresses every note. All of the tunes follow suit. Poulenc's "Hommage a Edith Piaf" (Improvisation for piano No. 15 in C minor) is probably the most-obvious thematic connection between the two musicians, although no one knows if Poulenc and Piaf ever met. Pompa-Baldi's delicate, graceful style brings both musician’s music vividly to life. The first of the Piaf arrangements (elaborated for piano by Italian pianist and composer Roberto Piana) is "Hymne a l'amour," again a beautiful rendition of a lovely song. And so it goes. These are love songs done in a grand yet gentle manner. Who could ask for more? Among my favorites? Certainly, that opening number I described,“Les chemins de l’amour.” Then there's Piaf's "Un grand amour," "Mon dieu," the immortal "La vie en rose," and, of course, "Non, je ne regrette rien." They sound heavenly in Pompa-Baldi's hands, each a virtuosic tour de force. As for more Poulenc, there's the haunting "C" from Deux poemes de Louis Aragon, the Debussy-like "Le Pont" from Deus Melodies sur des poems de Guillaume Appolinaire, "Nos souvenirs chantent," "Le depart," and many more. Pompa-Baldi offers up a bouquet of fragrant blossoms, and while every song is different, they combine to create a single, smooth-flowing stream of poignant melody. It's a captivating album. Producer Dan Merceruio and engineer Daniel Shores recorded the album at Sono Luminus Studios, Boyce, Virginia, in April 2013. The sound is full and lush, with a wide dynamic range and a mild hall bloom to provide a realistic ambience. It's a little warmer and softer than some music might require, but for the French bonbons presented here, it seems perfect. There's an airy lightness enwrapped in the resonance that offers the music its own special charms. And those long, lingering decay times add to the leisurely nature of the songs. Also, Pavane; Rhapsody espagnole; Daphnis et Chloe. 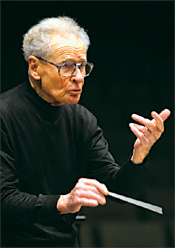 Stanislaw Skrowaczewski, Minnesota Orchestra. Mobile Fidelity UDSACD 4002. A few years ago, I found myself lamenting the passing of a good many audiophile record labels, forgetting that Mobile Fidelity had not been out of business for long before they had regrouped and begun producing high-quality products again. True, they no longer produce everything in the 24K gold format they used to, and they are now more into multitrack discs, but it’s good to have them around in any case. Like Telarc some time ago, Mo-Fi saw the potential in multitrack SACD, a sonic potential that I find perfectly valid because on the occasions I’ve listened to a Super-Audio compact disc through my Sony SACD player, they have sounded pretty darn good. However, I believe that most people who have bought into multichannel sound have done so for the specific purpose of listening to movies in multichannel surround, not for listening to music alone. So, anticipating this dilemma, the folks at Mo-Fi are doing as the folks at Telarc and other companies still making SACD’s have been doing, producing discs in hybrid, dual-layered, two-channel and three, four, and five-channel SACD’s so they’ll play both on regular stereo CD players and on multichannel SACD machines. Like it or not, however, I continue to do my own music listening in the old-fashioned, two-channel mode in my living room, and I do my movie watching in a separate home-theater room equipped with 7.1, non-SACD playback. There is no multichannel SACD music in sight for me, I’m afraid, but, as I say, I like what I hear from the two-track SACD format. Anyway, it’s good to have this collection of short Ravel pieces from Stanislaw Skrowaczewski and the Minnesota Orchestra on CD. Vox originally recorded them in the mid Seventies and released them on LP in both two-channel stereo and four-channel quad. The performances, packaged back then singly and in a four-disc box of LP’s, got great reviews. But when the CD era dawned and Vox first remastered them onto compact discs, they didn’t sound as good to me as I had recalled from the old vinyl days. Then, in 2004 Mobile Fidelity did a splendid job bringing the sonics back up to speed or better in their Ultradisc Gain 2 mastering process, so it was nice to hear Skrowaczewski’s Ravel again the way I remembered it. A booklet note by MFSL chief engineer Shawn Britton tells us that Vox did the original quadraphonic versions of the recordings in Sansui SQ, which was stereo compatible, but that the “folded-down stereo” version yielded artifacts from the SQ-encoded rear channels. In the present remastering, he says, Mo-Fo have recreated the channels discretely in both the two-channel stereo and SACD layers, and in stereo there is no longer any interference from the rear channels. This may account for the sound being even better than I remembered it from LP days. Not that I found the sound absolutely perfect, as good as it is. 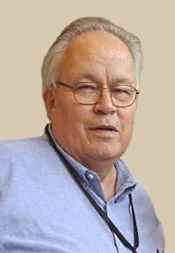 As Marc Aubort, one of the original engineers on the project, writes additionally in the booklet note: “The top end and especially the bottom end were rolled off before it went to tape to prevent boominess.” That may account for the treble not appearing as extended as I’d like and for the bass being solid but not particularly deep. The result, however, is extremely vivid in the midrange, and its crystal clarity more than makes up for any minor losses at the extremes. Of the five pieces of music presented on the disc, I enjoyed La Valse best of all. It’s a sardonic work, and the conductor nicely captures its wry undercurrents as well as the purely lyrical waltz qualities. It is, in fact, among the best performances of La Valse I’ve heard and is itself worth the price of the disc. Bolero builds up adequate energy through the conductor’s excellent control of ebb and flow and pays off in its passionate response, one I’ve heard in few other recordings. The Pavane pour une Infante defunte is wonderfully atmospheric, leisurely and serene; the Rapsodie espagnole colorful; and the Suite No. 2 from Daphnis et Chloe appropriately characterful, with the welcome inclusion of an additional segment, “Chloe Is Accosted,” that is now in 5.0 channels for those with the capacity for such playback. It’s a nice package, undoubtedly sounding better in multitrack SACD playback than I had the opportunity to hear it. The only drawback: Since I first heard the Mo-Fi SACD, the company decided to withdraw it. So if you really want a copy, you’ll have to seek out it out used and probably pay through the nose. Nevertheless, Mo-Fi still make another Skrowaczewski Ravel album from the same source available in SACD that includes the Daphnis et Chloé Suites Nos. 1 and 2, Ma Mère l'Oye, and Valses nobles et sentimentales. It’s equally good.